Core Branding helps businesses by providing branding solutions. We can help you discover, create and manage a strong brand. 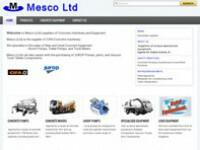 Mesco (Ltd) has direct relationships with a range of specialists spanning the engineering and commercial fields. Finesse Joinery custom build kitchens, bathrooms, laundries etc to suit any idea, design and budget. MyTradesman provides an independent service allowing customers to place reviews on the tradespeople they have hired. 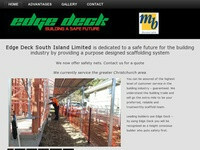 Edge Deck South Island Ltd is dedicated to a safe future for the building industry by providing a purpose designed scaffolding system. The CRCUA website provides cricket and umpiring related information for umpires and scorers in the wider Canterbury Region. Go Wireless New Zealand are Suppliers of Long Range Wireless Network Equipment & Accessories. 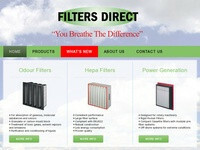 Supplying products providing cost effective, tested, top quality alternatives to meet and exceed all required standards..